Cut out the pieces. This step may require adult assistance and can be done prior to craft time (if you're colouring the cut out pieces, put a roll of masking tape on the back and tape lightly to newspaper or scrap paper). Glue the pieces together (see the picture above for how the finished product should look). It's a good idea to pre-do one before doing these crafts with a bunch of young kids, so they can see what it looks like finished. Por:Waheed Rahuman Labels: Thomas the Tank Engine Paper Craft Estou lendo: Thomas the Tank Engine Paper CraftTweet this! Feed. Play matching pairs game with Thomas tank Pictures on the online train games. You have had: turns on this online train game. You have got: pictures matched pairs correct. 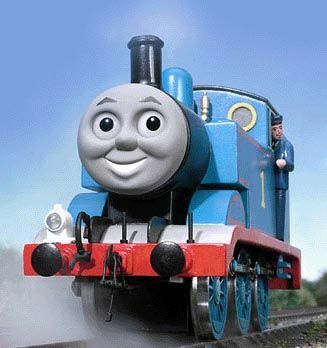 Click on the Thomas button to restart your online train games. Play again...!